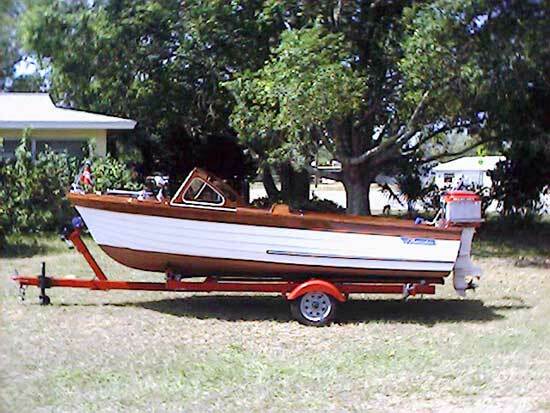 This is a 1960 Thompson Sea Coaster Model 475 powered by a 1959 Mercury MK58AEL. I spent two years stripping the hull and bright work and refinishing it. I sealed the hull with Smith's CPES, primed, and applied a barrier coat, then two top coats of white on the sides and two coats of bottom paint. The bright work has 5 coats of Captains varnish and two coats of Epifanes clear varnish. The engine was also stripped and re-finished as well as the trailer.